This week saw the return of the classic noir Stray Bullets and a truly epic issue of Batman. Throw in one of the most shocking moments in The Walking Dead history (and that is saying something) and you should understand why comics may be the best artistic outlet on the market today. We are truly living in a golden age of comics that features some of the best creative talent in the world. 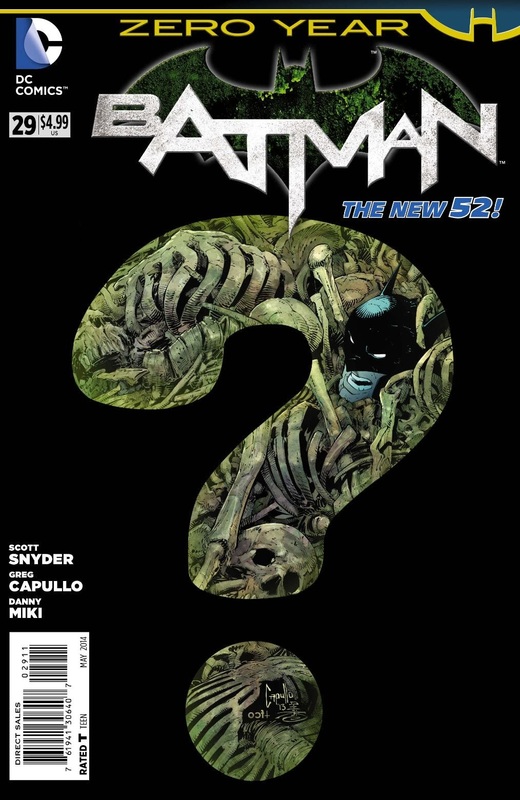 Batman #29 - The most recent issue of Batman from Scott Snyder and Greg Capullo is simply stunning. Snyder delivers the goods on a captivating and horrifying tale, but Capullo steals the spotlight with some of his best work to date. From the raw emotion in Bruce to the amazing character design of Helfern, this is one of the best looking books I have laid eyes on. Snyder does a wonderful job linking the past to the present and shows what the Riddler is truly capable of. This series is reaching another peak under the helm of this dynamic duo and I am on board as long as they are steering the Batman ship. 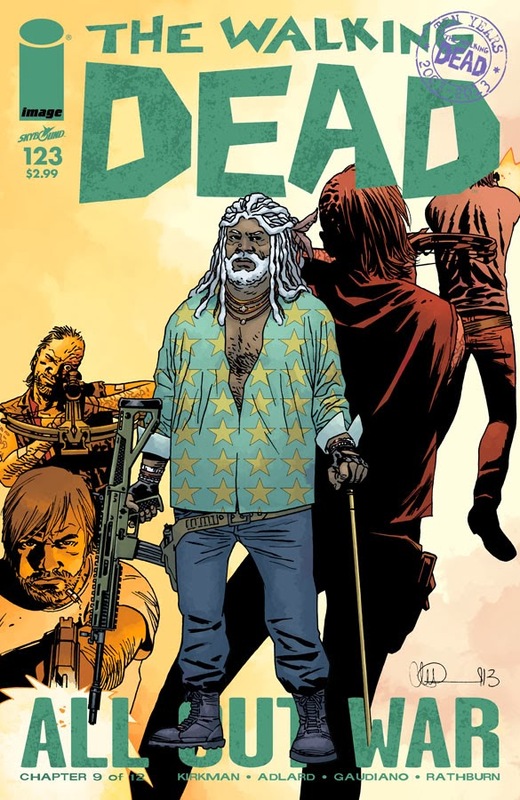 The Walking Dead #123 - This is a tough issue to review without spoilers. Rick and crew have made their way to Hilltop and Negan wastes no time launching an attack with his "dirty weapons". Now that Lucille and the arrows have been tainted with zombie blood, the implications for Rick and his crew have increased exponentially. A pulse pounding issue that lives up to the "All Out War" arc. The Negan storyline has been phenomenal and really brought me back into this series. I really want to elaborate at what went down at the end, but you will be shocked and I don't think it means what they want you to think it means. I think. Stray Bullets: Killers #1 - I will admit that I was late to the David Lapham game. 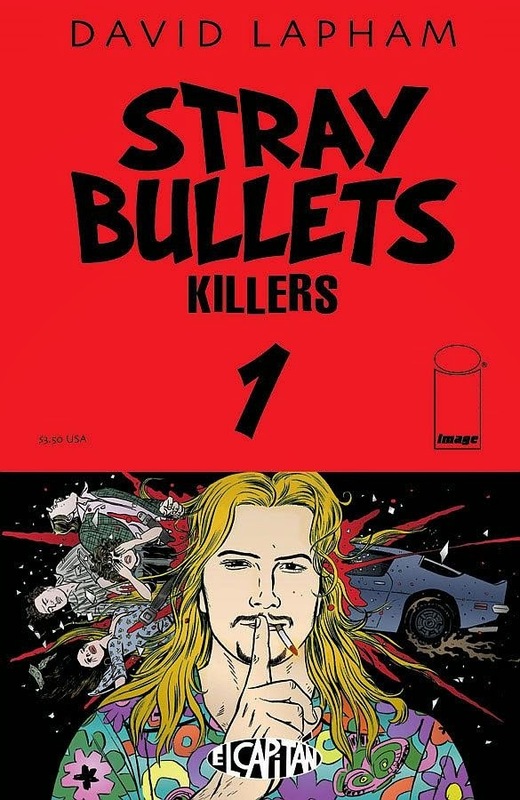 When I hear about the reboot of Stray Bullets, I asked myself what was Stray Bullets? After some research it sounded good and I downloaded a lot of titles from ComiXology. I am happy I did and pleased to report that Lapham has not missed a beat since his critically acclaimed series began in 1995. In what feels like a Quentin Tarantino movie, Stray Bullets weaves a circular crime narrative that is very satisfying. If you are a fan of crime fiction than you should be reading this title. The Returning #1 - In what was mostly a cliche debut, this comic is not without merit. While it feels that it is searching for an untapped niche in the whole zombie genre, this title focuses on humans who recover from near death experiences. The protagonist is a 16 year old girl who was declared dead for five minutes and now has all of her peers terrified. Not a bad premise, but not one that has me hankering for more. I am on the fence on whether to pick up issue #2. 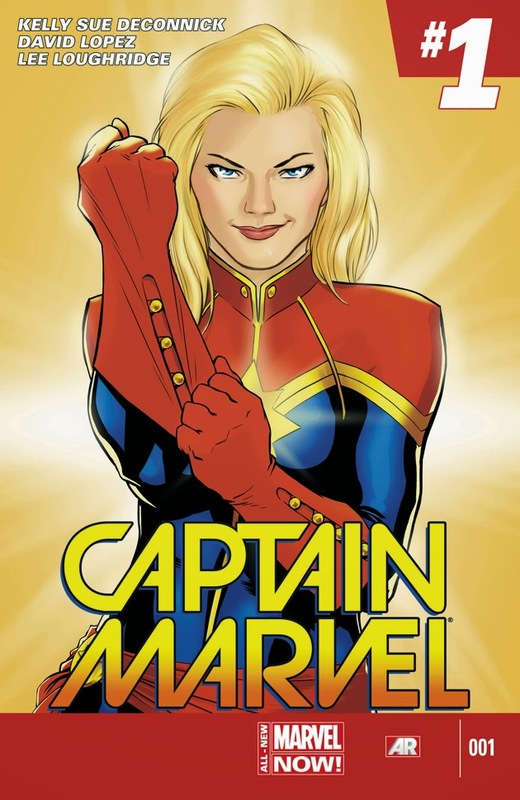 Captain Marvel #1 - As a father of a really cool little lady, I was pleased to see Captain Marvel's interaction with Kit, her friend's daughter. While part of me really wanted to like this title, I was left wanting more. I understand that it is difficult to establish too much in one issue for an ongoing series, but nothing delivered the hook. She seems like a fine superhero, but I just don't know. What should a father do.